The world needs people like you. People with goals change the world. They make the invisible, visible. They turn wishes into reality. Goal getters change the world for the better because they dream big. You know what you want and you’re oozing with the determination to get there. You’ve probably set a SMART goal and the problem is that, for big dreams, SMART goals don’t work. 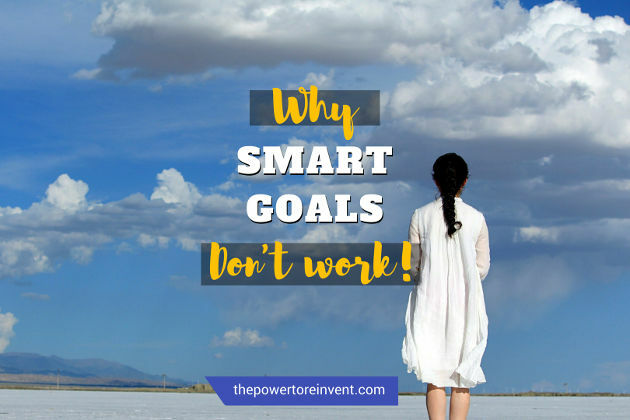 What’s wrong with SMART Goals? The problem with SMART goals is that they were specifically designed to help people achieve workplace objectives, not dreams. Are SMART goals effective in management practice and the workplace? Absolutely. However, the problem with SMART Goals is they were never designed for ambitious goals. In fact, SMART goals weren’t created to ever to leave the workplace. As a consequence, this is why SMART goals don’t work for goal getters like you and me. When it comes to writing effective objectives, corporate officers, managers, and supervisors just have to think of the acronym SMART. SMART goals don’t work because they encourage big dreamers to focus on the attainable and realistic. SMART goals tell us it’s better not to overextend ourselves and rest within our limitations. But where would the world be if we did that? Would Oprah have overcome her challenging childhood? Would Steve Jobs have had the same impact on Apple? Or Thomas Edison created the lightbulb? George knew the problem with SMART Goals was that sometimes big goals worthy of achieving aren’t necessarily realistic. In fact, sometimes even in business setting SMART goals can be dumb. We know our world has changed a lot since George Doran’s paper on SMART goals in 1981. There have been dramatic advances in science and psychology. The problem with SMART goals is that the process hasn’t been updated along with those advances. Breakthroughs in neuroplasticity and neuroscience have taught us the importance of whole brain thinking. Yet, SMART goals don’t work with whole brain thinking. They rely solely on the logical left and fail to harness the incredible power of our right. This is further proof that SMART goals don’t work. Furthermore, SMART goals don’t work with the Law of Attraction. 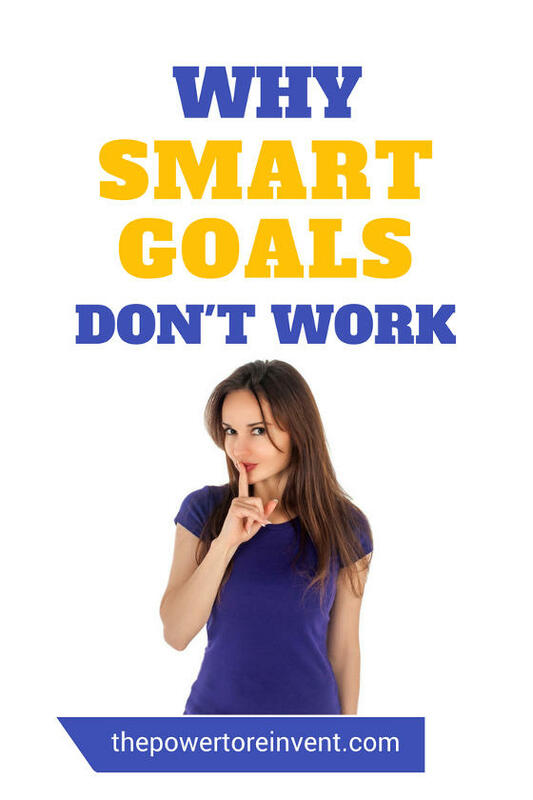 SMART goals fail to manifest success. And one of the biggest problems is SMART Goals don’t use the power of our subconscious or visualisation to increase success. You deserve more than what is realistic and attainable. You deserve a system designed to help you achieve your big goals, a system that works with the advances of science. You see, when it comes to big dreams you need to need something better than Smart Goals. For your big dream to become reality you need to set goals with POWER. 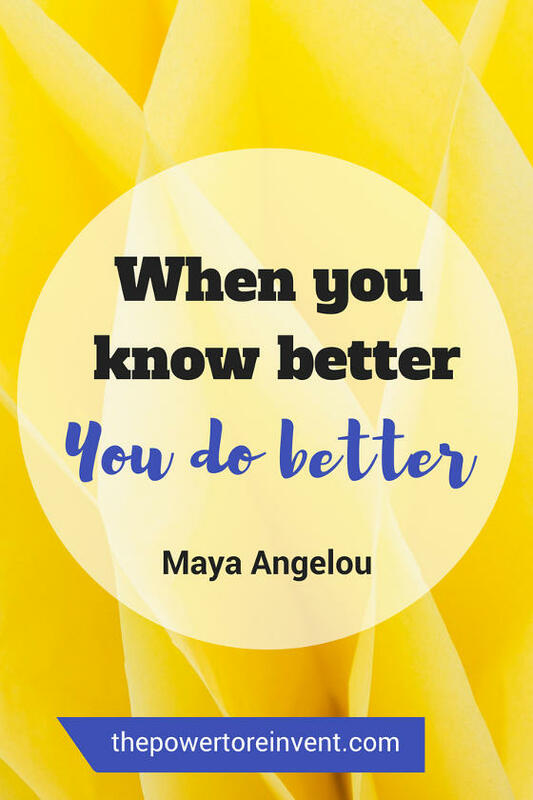 At The Power to Reinvent, we are passionate about helping people achieve their ambitious goals. We owe our amazing results with hundreds of clients to The Power Goal system. You can learn how to set and achieve powerful goals in our Ultimate Goal Setting Guide here. It comes with a free and printable goal setting template. That’s what we think about Smart goals. 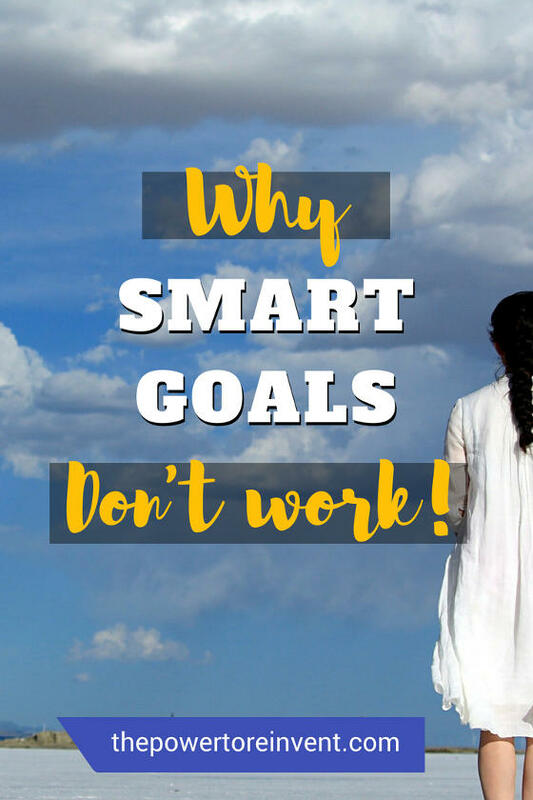 Is it enough to convince you not to set a SMART goal? Let us know in the comments below.